We used the back of Simplicity 2147 as the front to incorporate this smocked bodice yoke design. In SewStylish Fall 2014, “Trend to Technique: Fashion Smocking” explained how to apply two smocking designs to a variety of garments. Find out how to adjust any pattern, such as Simplicity 2147 , to accommodate a smocked bodice yoke. This also can easily be applied to other pattern pieces. 1. 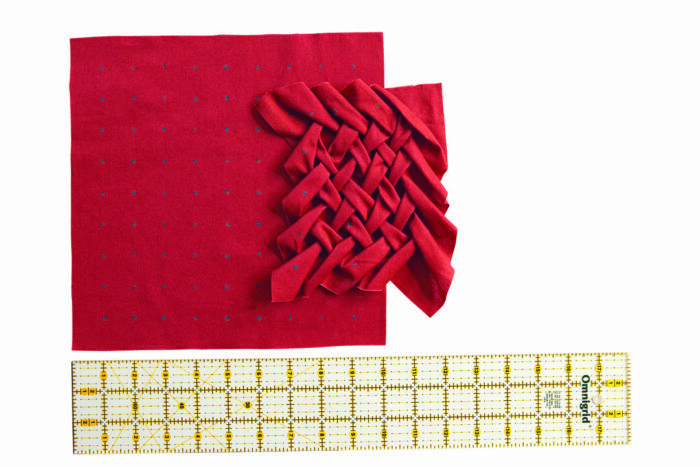 Use the article’s directions to determine how large your fabric swatch needs to be to accommodate the smocked section. It helps to add a few extra inches in both directions for flexibility. Once you’ve applied your smocked design to the fabric, securely tie off each thread end. Cut your fabric a few inches larger than the pattern piece because the smocking design will take in a lot of fabric in both directions. 2. Cut the yoke pattern piece in muslin. Align and center the muslin on the smocked section’s wrong side, pin, and stitch in place about 1/4 inch from the muslin edge. Center and pin the muslin on the smocked section’s wrong side, then stitch in place. This view is from the right side. 3. 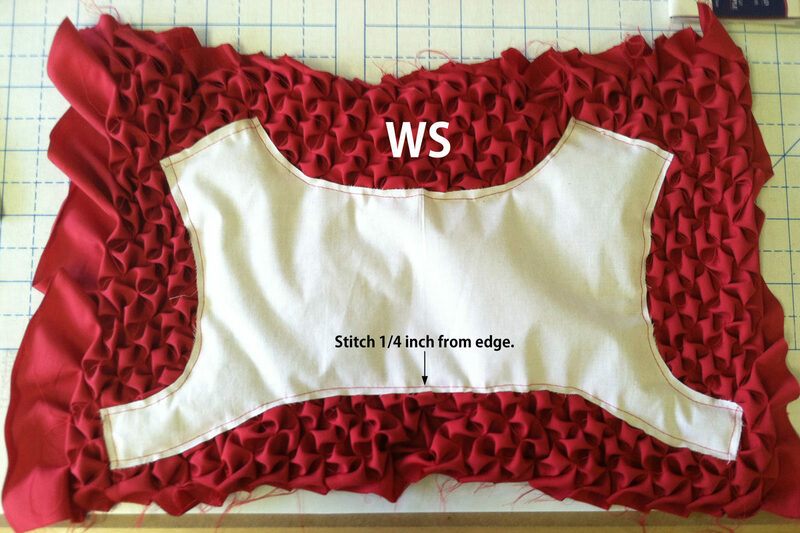 Cut through the smocked fabric layer using the muslin pattern piece as a guide. Stitching the muslin in this way helps ensure that the smocked piece holds its shape after it is cut. 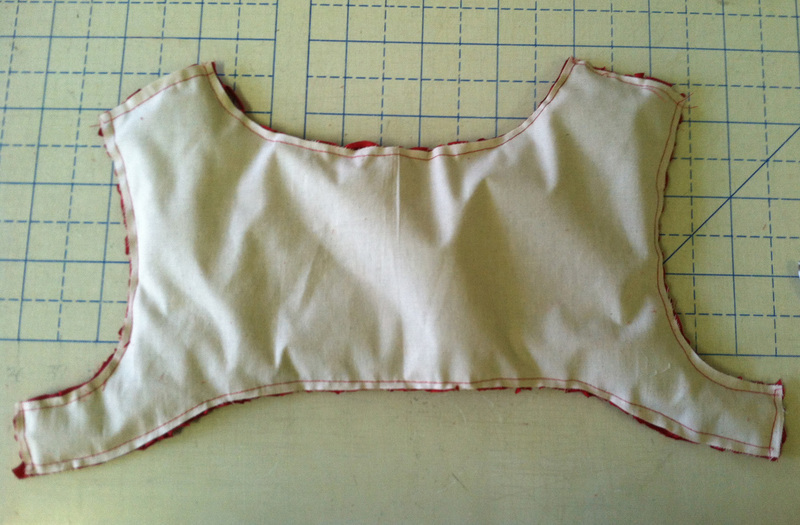 Cut the smocked fabric layer the same size as the muslin pattern piece. 4. 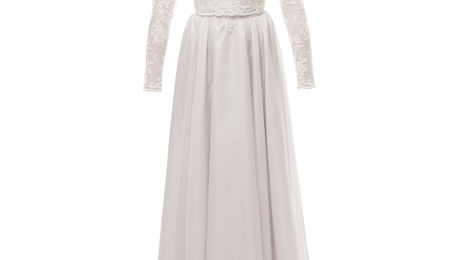 Finally, sew the smocked pattern piece into the garment as described in the directions. Now that you’ve seen how easy this is, which smocked design from SewStylish Fall 2014 are you most excited about incorporating into your next pattern? Where else on a garment would you consider placing a smocked section? Please share your thoughts below. 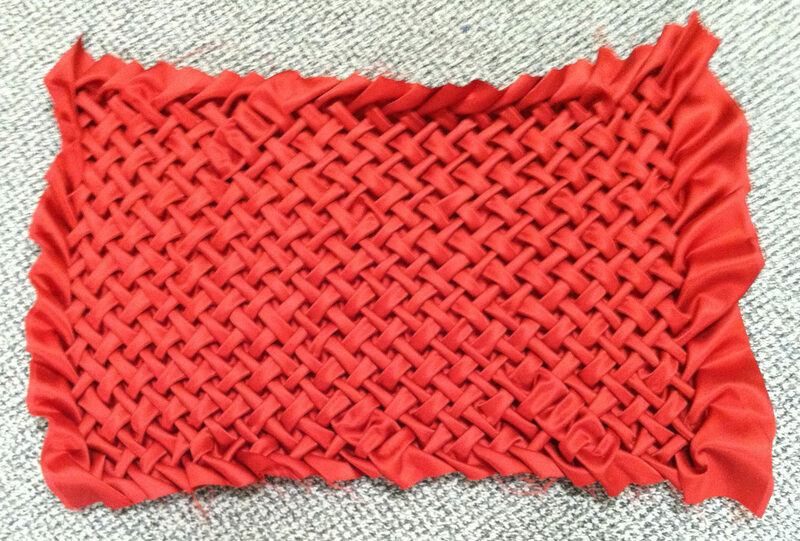 This fabric swatch features the lattice smocking design featured in SewStylish Fall 2014. 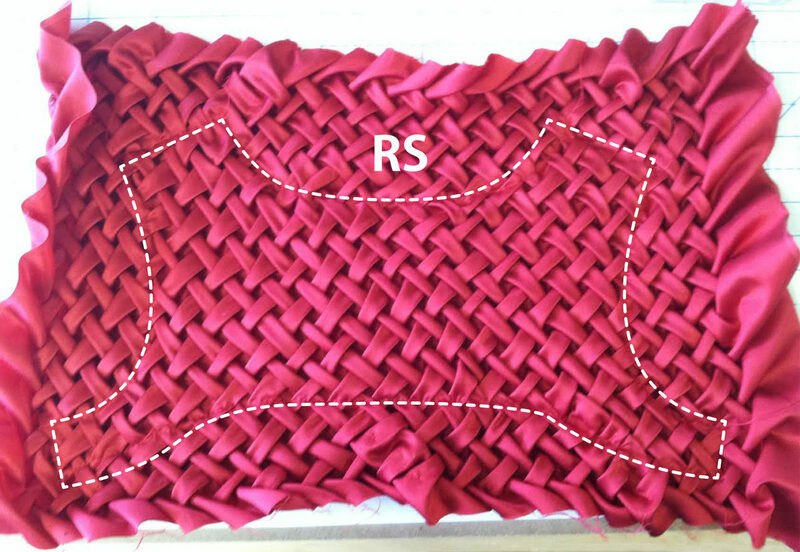 The final smocked pattern piece is stitched to a muslin pattern piece before it's sewn into the garment. 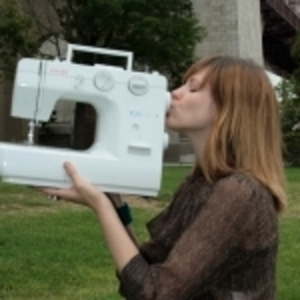 I bought the magazine SewStylish with this article. 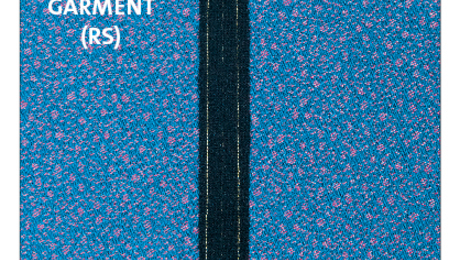 For me it is not clear how to transfer the smoking pattern onto the fabric. I used calc but that is disappearing. Please help me out. Wi have just canged my email to amaubin@bell.net. I also subscribed to Inside promotion. It does not work. What should I do?